cookie | Healthy Product Reviews!! Almondina makes “a delicious cookie without the guilt”. How without the guilt you ask? Well, there are no preservatives, artificial flavors/colors, no added fat or salt, are all natural, and relatively low in fat and calories. 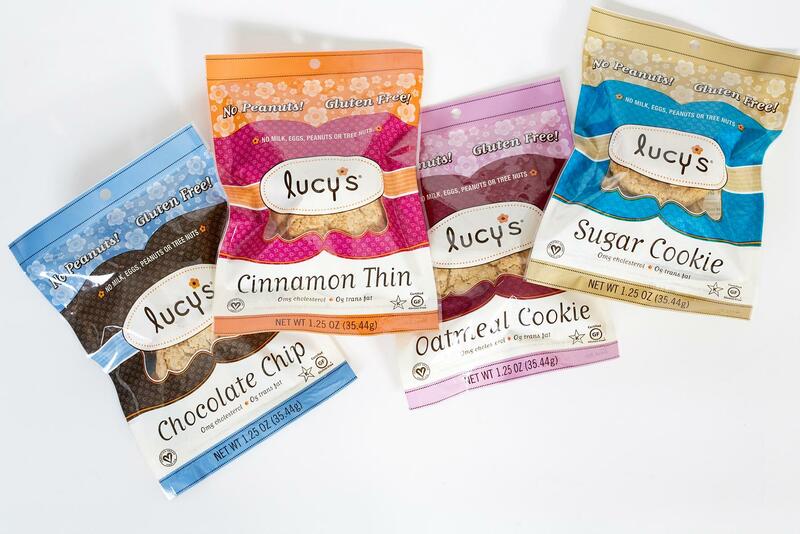 They are crispy biscotti-like cookies, and come in several flavors- Original, Choco-nut, Cinnaroma, Gingerspice, AlmonDuo, Anniversary, BranTreats, Sesame, Pumpkin Spice, and Chocolate Dipped. All of them sound delectable! I was fortunate enough to try, courtesy of Almondina Company, the Choconut, Pumpkin Spice, and Sesame flavors. Each of these “biscuit-cookies” are about as long as your finger and wide as two fingers put together. They are crispy and crunchy, which I give credit to the “no added fat” aspect of the recipe. Sesame- these were different- normally I’m not a sesame person, but these were enjoyable. My mom certainly enjoyed them, she kept bugging me for more after i gave her one (does the book If You Give A Mouse A Cookie… ring a bell to anyone?? 😛 ). They had SOOOO many sesame seeds- so if you like sesame, definitely try this cookie! It wasn’t as sweet as the other ones, but it was good with some lemon/herbal tea. Choconut- Chocolate lovers-rejoice! these had a deep brown chocolate color to them. They were mildly sweet and definietely hard and crunchy, except for the spots filled with raisins. Those were nice & chewy, and it provided a nice relief to the crunch. It had a very good chocolate flavor and a LOT of almonds. Bursting with almonds even (the cookie is 20% almonds). It was fresh and flavorful, and I got my chocolate fix. I also spread it some peanut butter on it- delish! Overall, these are pretty good. I like how you get 4 of the cookies in a serving, for about 130 calories and not too much fat or sugar. I’m giving them 4 stars overall (5 stars to the choconut flavor-yum! 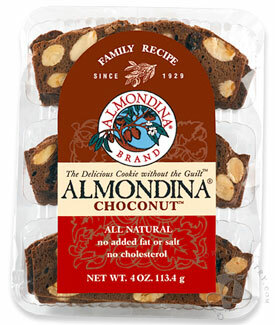 ).Almonds are definietely the dominant ingredient, and they don’t scrimp on them in the cookie! I think they are best when paired with something soothing, like yogurt, tea, or icecream to cancel out some of the CRUNCH. I’d like to try the cinnamon and chocolate dipped varieties as well 🙂 I’d also be interested if they ever made a variety without all the almonds or nuts, but rather a “plain” cookie, like sugar flavored or something. I’ll keep an eye out! Sesame- 4 cookies is 138 calories, 4.8 grams of fat, 20.7 grams of carbohydrates, 2 grams of fiber, and 3 grams of protein. Choconut- 4 cookies is 133 calories, 3.6 grams of fat,22 grams of carbohydrates, 1 grams of fiber, and 3 grams of protein. Pumpkin Spice- 4 cookies is 120.5 calories, 5.3 grams of fat, 14.8 grams of carbohydrates, 1.4 grams of fiber, and 3.5 grams of protein. Choconut- Almonds, Flour (wheat flour, malted barley flour), Sugar, Egg Whites, Raisins, Chocolate Liquor, Cocoa Powder, Natural Flavors. DONT FORGET ABOUT THE HOLEY DONUTS! and CASH giveaway! Just pop em an e-mail with my blog name/website in the subject line, and win some donuts and 150$ cash! All rules and entries are HERE! Yay for “healthy junk food”! That may sound like an oxymoron, but it’s true! There are companies that make products VERY similar to popular junk food-but without all the crap! Newman’s Own Company doesn’t let us down here when they made there own version of an “Oreo”. You might, m’lady tweak my nose. You could, m’lord step on my toes. I tried the Original Newman-O. And i must say- i could have sworn i was eating an Oreo-but BETTER! The wafer was chocolatey, crispy and light. The crème was sweet and well, creamy, with a slight tang. They were delicious! I’m one of those who likes to “unscrew” the top and eat it separately and lick the crème, but i also ate one “in full”. The crème and the cookie part together were also scrumptious. I had a little fun with this review, and i blindfolded my mom and put 2 cookies out, one a Newman-O, and one Oreo. I asked her to taste both, and she said they both were delicious, but she preferred the Newman-O. Woo! She said “Cookie B” (the Oreo) tasted a little too moist, and the “Cookie A” (the Newman-O) was much better. Nice! 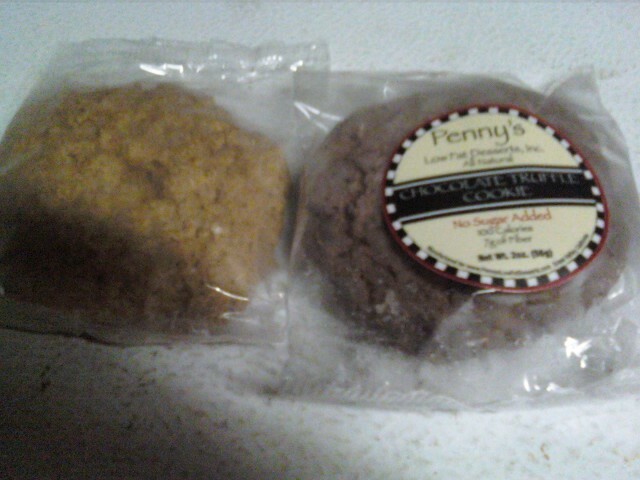 2 of these cookies are 130 calories, 4.5 grams of fat, 20 carbs, 1 gram of fiber, and 2 grams of protein. I tried them dry, but I’m sure they would be excellent with milk or a slab of peanut butter on them (like in the Parent Trap movie!). Delicious! !